"TRAYAL E" protective helmet for electricians is intended for protection of the head of the user against the mechanical impact and electricity. Above all, it is used in electrical industry and in repair of long-distance power lines. 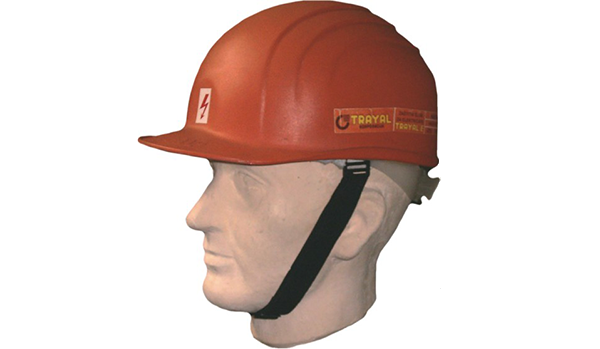 “TRAYAL e” protective helmet for electricians provides complete safety during the contact with 1000 V alternating current and 1500 V direct current. The mass of the complete helmet is 500 grams maximum. The helmet is available in one size only. The helmet is fixed to the head of the user by means of the adjustible forehead and chin strap. The chin strap is coated in leather, which makes the helmet highly comfortable to wear. The helmet is to be used at temperatures ranging from – 20 0C to + 50 0C. The helmet is being certified according to the SRPS EN 397 i SRPS EN 50365. 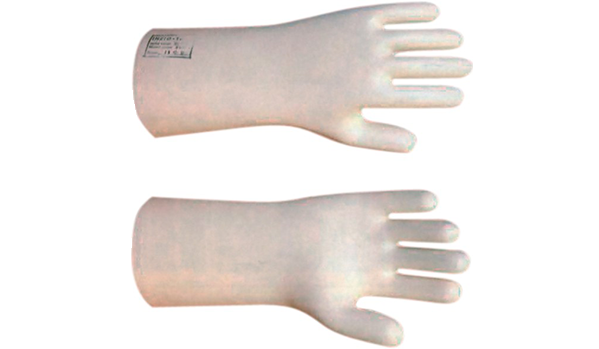 Protective gloves for electricians are intended for work under the voltage of up to 17 kV. They are made from rubber compound based on natural rubber by means of injection pressing. The gloves are five-fingered, anatomically shaped. The gloves are of Class 2, size 10 , according to SRPS EN 60903.